Scott Bishop came on in this July 1990 contest and finished out the game, just not the finish he or his Yakima teammates hoped, according to The Eugene Register-Guard. With one out in the eighth inning, Bishop took the mound and got the final two outs while giving up one hit. Yakima lost the game 8-3. Bishop pitched in that game in his second professional season. That season marked his last in affiliated ball. He went on to play two seasons in independent ball. He never made the majors. Bishop's pro career began in 1989, taken by the Dodgers in the 26th round of the draft out Erie Community College. Bishop started with the Dodgers in the rookie Gulf Coast League. In nine games, four starts, Bishop went 1-0, with a 1.65 ERA. 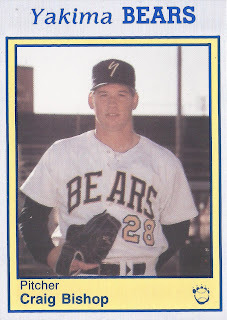 He moved to high-A Bakersfield and short-season Yakima for 1990. In 20 outings, one start, Bishop ended with a 5.47 ERA. He struck out 24 in 24.2 innings of work. 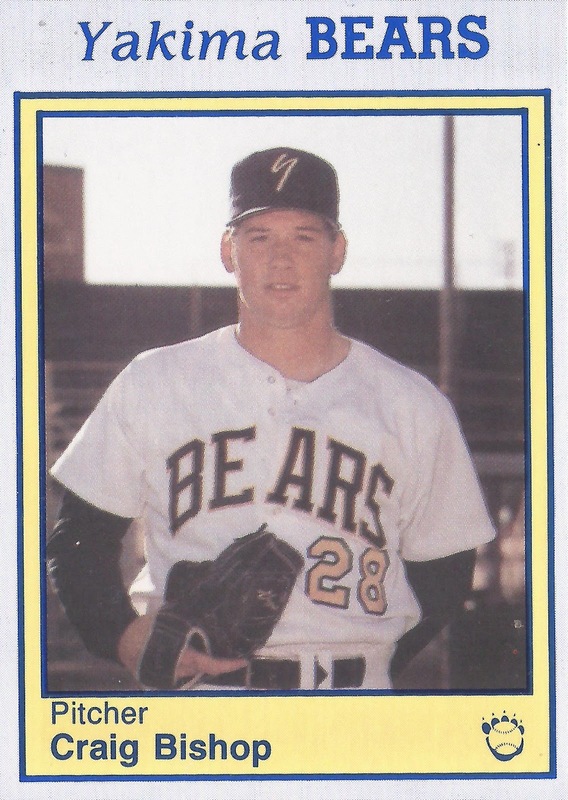 After two seasons away from baseball, Bishop returned to the field in 1993 with independent Rochester. He went 3-1, with a 0.64 ERA over 18 relief outings. He then played 1994 at independent Winnipeg. In 23 relief outings there, he ended with a 6.48 ERA to conclude his career. Deep Dive: Could Chris Paddack get even better?